In 2012, IVAR undertook research with 60 small voluntary organisations across the UK to explore the challenges they were experiencing and how independent funders might help them navigate the ongoing political and economic uncertainty sparked by the recession. Five years on, as we continue to see, hear about and research many of the same challenges, we are revisiting the voluntary organisations that took part our 2012 research to understand how their situation has changed, if and how funder practices have evolved and whether any needs of voluntary and community organisations remain unmet. Having supported the original study, Cripplegate Foundation join Comic Relief and IVAR’s own Research Development Fund for ‘Recession Watch Revisited’. 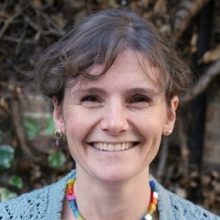 As we announce this new project, Helen Kersley reflects on Cripplegate Foundation’s practice of collaborating with the council. Cripplegate Foundation is deeply rooted in Islington. Our history here goes back more than 500 years, and we exist to benefit Islington residents. As a place-based funder we value the knowledge and relationships we are able to develop in our area. There is no better example of this than the collaboration that has grown with Islington Council. The Foundation hasn’t always worked this way. For most of its history Cripplegate trod its own path as many independent funders do. But over the past 10 years our work with Members and staff of the Council have developed mutual trust and understanding around shared ambitions for addressing local poverty and inequality. This has translated into joint long-term investment and co-production on a number of fronts creating tangible benefits for Islington residents. Our current joint programmes include Islington Council Community Chest small grants scheme; the Resident Support Scheme to alleviate household poverty; and a new Good Neighbours Scheme in a deprived area of the borough. When I joined the Foundation nearly two years ago I was struck not just by our joint delivery programmes but by the extent of strategic conversations between us and the Council. Ideas were being shared around for example creating a borough-wide vision for young people, and cross-sector investment to sustain our vibrant voluntary organisations into the 2020s. We have been asking how we can leverage our different strengths, partnerships and knowledge to make a difference with not for Islington residents. We share the ambition for making Islington a good place for all its residents. Islington Council has demonstrated time and again its progressive thinking and willingness to act to support its residents. From setting up the first Fairness Commission to maintaining its level of investment in young people the approach aligns with Cripplegate Foundation’s mission. Both funder and Council are outward-facing. There is a shared view at the highest level that we can do more together than we can on our own. This isn’t just about pooling funds. It is about creating influence across our networks, sharing knowledge and seeing our place as a system of joint endeavours. We strive to recognise and work with our points of difference and strengths. A Council and an independent funder can do things the other can’t or not as well. The Foundation can act quickly; the Council can draw on a wealth of data and much greater resources. If there can be openness and some adaptability on both sides then these differences can unlock opportunities. The New Local Government Network has just published a report, ‘Building Bridges’ looking at the need for collaboration between local authorities and independent funders. I see Islington at the head of this curve and I am looking forward to being part of taking that even further. You can read the full ‘Recession Watch Revisited’ project announcement here. This is a parallel blog, hosted by IVAR and Cripplegate Foundation.